Professor Nelson’s main research and teaching interests lie in the subfields of International and Comparative Political Economy. His recent work explores a variety of topics, including the politics that shape the International Monetary Fund’s (IMF) lending policies; the structure and governance of financial markets before and after the near-collapse of the American financial system in 2008; the political dynamics of developing and emerging market countries’ decisions to open their economies to international capital flows; how organizational cultures shape the behavior of international institutions; and the international organization of sovereign debt markets. 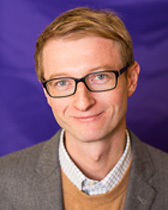 Professor Nelson's book, The Currency of Confidence: How Economic Beliefs Shape the IMF's Relationship with Its Borrowers (Cornell University Press, 2017), is based on his dissertation, which won the American Political Science Association's Helen Dwight Reid Award in 2010. He has published articles in International Organization, International Studies Quarterly, Review of International Political Economy, and Review of International Organizations. Links to his papers, replication files, and syllabi for courses can be found on his personal website. “Default Positions: What Shapes Public Attitudes about International Debt Disputes?” (with David Steinberg). International Studies Quarterly (forthcoming). “Are IMF Lending Programs Good or Bad for Democracy?” (with Geoffrey Wallace). Review of International Organizations (forthcoming). “Playing Favorites: How Shared Beliefs Shape the IMF’s Lending Decisions.” International Organization 68, 2 (2014): 297-328. “Uncertainty, Risk, and the Financial Crisis of 2008” (with Peter J. Katzenstein). International Organization 68, 2 (2014): 361-392. “The International Monetary Fund’s Evolving Role in Global Economic Governance.” In Manuela Moschella and Catherine Weaver, eds. Handbook of Global Economic Governance. New York: Routledge (2014): 156-170. “Reading the Right Signals and Reading the Signals Right: IPE and the Financial Crisis of 2008” (with Peter J. Katzenstein). Review of International Political Economy 20, 5 (2013): 1101-1131. “Does Compliance Matter? Assessing the Relationship between Sovereign Risk and Compliance with International Monetary Law.” Review of International Organizations 5, 2 (2010): 107-139.